Winifred Phillips has worked on a large number of major video game franchises: LittleBigPlanet, Assassin’s Creed, God of War, The Sims, and Total War, not to mention a long line of film-to-game adaptations. 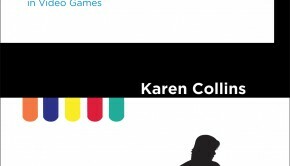 She is also one of the most prominent communicators about game music, having recently published A Composer’s Guide to Game Music, which won both an Annual Game Music Award and a Global Music Award. 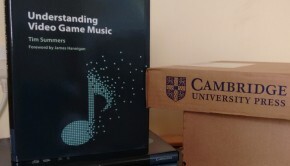 In this interview, Phillips touches on many of the musical, technological, and business aspects of creating game music, placing particular focus on the differences between adaptive and linear music. She also talks in more detail about how she approached the music for the LittleBigPlanet series, including fan favourite choral themes “Victoria’s Lab” from LittleBigPlanet 2 and “Ziggurat Theme” from LittleBigPlanet 3. KT Wong: First of all, welcome to Game Music Online Winifred Phillips and congratulations on your recent Annual Game Music Awards win. Could you tell us about the musical and gaming experiences that made you aspire to become a game musician? In your book, you mention the Tomb Raider soundtrack. Were there any other defining moments that motivated you to write music? Winifred Phillips: I remember hearing the One-Winged Angel track for the first time during the ultimate Sephiroth boss battle in Final Fantasy VII. While I didn’t think about writing game music at the time, the track definitely stuck in my head. When I eventually started pursuing a game music career, the choral element of that track came to mind pretty frequently. I’ve always found the human voice to be one of the most compelling instruments available to a composer. KT Wong: In your book, you go into detail about creating themes and even cite Hector Berlioz’s Idee Fixe as an example of a memorable and prolific selection of music. How important do you think a familiar theme is in a game soundtrack? Winifred Phillips: I think the importance of themes in game music depends on the nature of the game. Some game scores don’t include overt or memorable themes, but are still effective scores that have become fan favorites over the years. Others are known specifically for their compelling melodies, and fans can readily sing the tunes at the drop of a hat. It’s important to make decisions about the use of themes based on the needs of the game and the artistic vision of the developers. KT Wong: Do you ever allude to classical music or other popular genres in your work? Winifred Phillips: I’ve composed music in some classical and symphonic styles – post minimalism and impressionism have both strongly influenced my work in the past – and I’ve also composed music in a wide variety of popular contemporary genres. KT Wong: Most people would assume that composers would come in late in the game development process and they would have ample materials to base the music on. But recently there are also more developers bringing the composers into the development process much earlier to create a more unifying product. That of course mean the composer also has less materials to guide them. Can you let us know at what point in the development cycle would you usually start working on the game score? Does your approach differ depending on the amount of materials available to you? Winifred Phillips: I’ve worked with a lot of different publishers and developers, and they all have different working methods and ways of integrating music into their production schedules. For some projects I’ve started work on the music very late in the development cycle. For others, I’ve been brought into development very early. My approach hinges on the direction of the development team and the work materials that are available to me. Some games in very early development have tons of documentation and concept art, which can be quite inspiring. The most important inspiration, though, comes from communication with the developers. It’s their artistic vision that’s guiding the creation of their game, and it’s my job to reflect their vision as faithfully as possible. KT Wong: Thanks to the rapid advancement of the gaming technology as well as the booming growth of the gaming industry, game composers today presumably have better equipment and bigger budgets at their disposal compared to ten years ago. To what extent do you agree with this? Can you tell us about how your compositional process has evolved with the introduction of new technology and bigger budgets? Winifred Phillips: Budgets really vary widely. If a composer is working on an indie game, the budget may be quite small. Likewise, most game composers have to pay for the equipment in their own production studios out-of-pocket, so the quality of the equipment will depend on how much money the composer has available to invest in it. I think that the budget available to the composer can certainly help when the music needs to sound very lush and triple-A, but wonderfully creative scores have been composed with very limited equipment and small budgets. Ultimately, the composer needs to be flexible and ready to adjust according to the budget and the tools available. KT Wong: I am actually quite surprised when I first found out that you actually performed the female vocal tracks featured in most of your work. Let’s take the wonderful “Ziggurat Theme” as an example. Did you intentionally choose to perform all the 18 female voices in the track on your own or would you have preferred to hire a choir to do the job instead? Do you find it liberating or constraining having to perform your own composition from the standpoint of a composer? Winifred Phillips: Thanks for the kind words about my Ziggurat Theme! I intentionally performed the 18 voices myself. It was more logistically feasible for me to do it. The voice parts in that composition are very challenging to perform. A choir would have been required to learn these parts quickly, in order for the recording sessions to stay within a reasonable budget. Since the parts were so difficult, I couldn’t expect a choir to learn them fast enough to keep the recording budget under control. It therefore made more sense for me to perform them. Since I am a classically-trained vocalist, I knew I could handle it, and since I wrote the music, I didn’t have to worry about the time it would take for me to learn it. KT Wong: Recently you had given a talk entitled LittleBigPlanet 3 and Beyond: Taking Your Score to Vertical Extremes at the GDC 2015. You mentioned that all the interactive tracks you composed for LBP 3 were arranged according to the vertical layering music system. Can you elaborate on the concept of this system and what it brings to the gameplay? 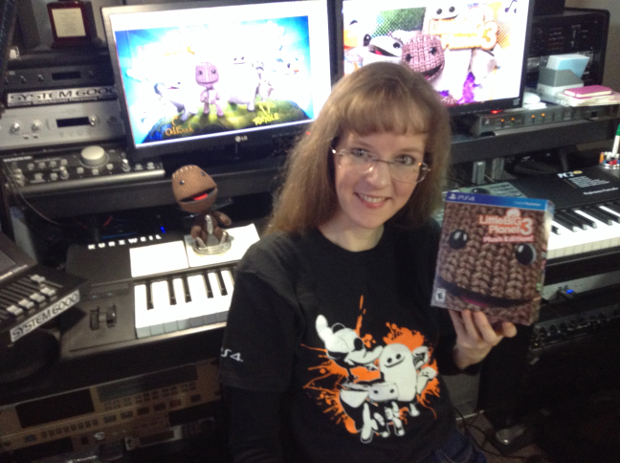 Winifred Phillips: The interactive music system for the LittleBigPlanet franchise was designed by the development team at Media Molecule, and that system is used by all of the composers in the music composition team for the LittleBigPlanet games. 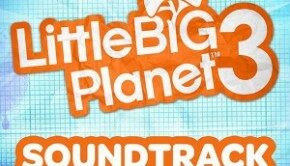 My music has been in six games in the franchise so far, including LittleBigPlanet 2, LittleBigPlanet Toy Story, LittleBigPlanet Cross Controller, LittleBigPlanet PS Vita, LittleBigPlanet Karting, and my latest, LittleBigPlanet 3. The franchise has a fun interactive music system, and I enjoy working with it. The system gives the development team lots of ways to manipulate the music so that it can react to the game. KT Wong: Can you elaborate a little more on what vertical layering is? Winifred Phillips: In vertical layering, a musical composition isn’t recorded as a single audio file. It’s captured as multiple audio recordings – multiple layers – that all play simultaneously. Each layer represents a portion of the whole composition, so when they all play together, we hear the whole song – the full mix. However, when you play the layers separately, you get to essentially pull apart the composition, isolating it into submixes that represent a percentage of the whole. This allows the audio development team to trigger the layers to play according to what’s going on in the game at any given time. The music can simplify when the action in the game settles down, and then the music can become more complex and active when the game activity ramps up. KT Wong: In an interactive track, each layer form a percentage of the full composition and they would form the full mix when all played together. However, each layer must also provide a distinctive and satisfying listening experience even outside the full-fledged form. That sounds like a difficult task. Could you explain your compositional process for such tracks? How did you manage to retain the overall identity of the piece while still instilling each layer with a distinctive sound? Winifred Phillips: It’s a complicated process, and the compositional workflow tends to shift from one track to another, depending on the characteristics of the musical genre and the needs of gameplay. For instance, in the “Victoria’s Lab” track from LittleBigPlanet 2, I composed a track with both high-energy combat-style music and low-energy exploration music embedded in the layers. I had to keep track of both of those styles and blend them together so that they could coexist when all of the layers were playing at once. I always try to give each layer of a vertical layering composition a distinct tonal identity so that they can all coexist without interfering with each other. For instance, some layers may be harsh and aggressive, favoring a lower register, while others may be more rounded and brighter in tone. This lets them fit together in a jigsaw style. Keeping the musical genre and emotional characteristics in mind lets me instill all the layers with a sense of unity, so that they sound like they belong together when they’re all playing at once. KT Wong: In addition to adaptive tracks, you have also composed more linear or cinematic music for franchises such as the Sims, God of War, and Assassin’s Creed. How does your compositional process differ for such projects? Winifred Phillips: The linear music that I’ve composed for games also has particular challenges that rise out of the nature of interactive entertainment. Linear music can potentially be repeated many times during gameplay, so a composer has to structure the music in such a way that it remains an enjoyable listening experience through many repetitions. 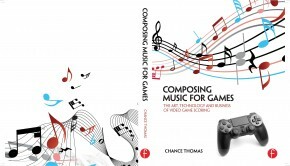 I talk in more detail about the challenges of composing linear and interactive music in my book, A Composer’s Guide to Game Music, published by the MIT Press. KT Wong: Indeed, game music provides gamers with powerful experiences that are unlike the ways in which TV and film music influences its audiences. Game music is experienced when the player is engaged with active gaming activity rather than a pre-recorded visual. 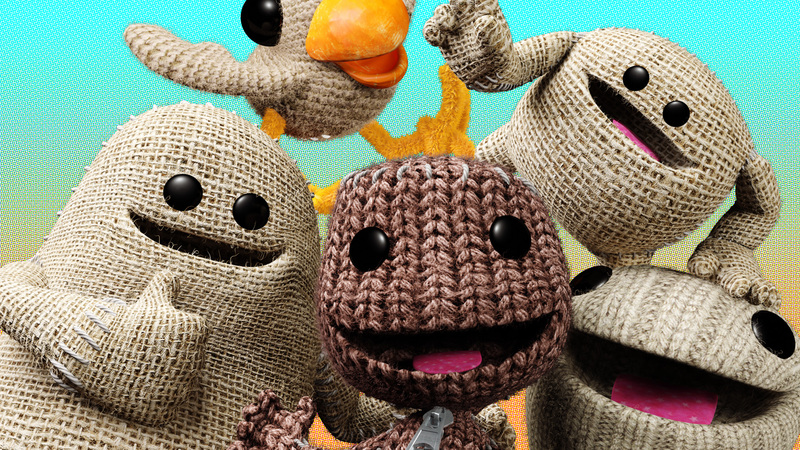 However, there are more people listening to game music without playing the game today, thanks to the increasing number of game soundtracks such as LittleBigPlanet 3 available for sale. How do you feel about people listening to your music without knowing the context that the music is composed for? Can game music still be fully appreciated even out of context? Winifred Phillips: Absolutely. Game music can be enjoyed in the same way that film music and television music are appreciated outside of the context of the films and tv programs for which they were created. I’m very happy that game music soundtracks are being embraced by such a large and enthusiastic audience! KT Wong: Do you think game music will always be more powerful when combined with an interactive experience or can it be just as poignant an experience for listeners independent of the game? Winifred Phillips: That really depends on the listener’s expectations. Personally, I find that listening to music for its own sake is an entirely different experience than listening to music during gameplay. In the height of gameplay, music becomes an integral part of the experience, intensifying the emotional undercurrents and kinetics of the action in the game. By itself, game music can ignite mental imagery that is uniquely personal to the listener and can be equally intense and involving. It depends on what the listener wants out of the listening experience, and their personal relationship with the music. KT Wong: On a related note, you have dedicated much of your career to scoring film/book-to-game adaptations. When composing for such projects, how do you approach the source material? Are there ever opportunities to reference the film soundtracks or are they usually composed side-by-side? Winifred Phillips: It’s great composing for a game that’s based on an established intellectual property, such as Speed Racer, Charlie and the Chocolate Factory, Legends of the Guardians, and the Da Vinci Code. I enjoy reading the books, and I derive a lot of inspiration from the original source material. Because game development schedules are so different from film production schedules, I’m usually completely finished with the music for a game long before the film composer has written a single note for the film, so I don’t have any opportunities to reference the film soundtracks. That gives me a lot of creative freedom. KT Wong: You mention in your book that a professional demeanor, meeting deadlines and exceeding expectations are just some of the things that are required to succeed in the composer’s world. Could you elaborate on the personal attributes and skills aspiring artists should have to help put together a top-notch project? What are the most important assets aspiring video game composers should have? Winifred Phillips: In my book, I talk about a lot of the crucial technical and creative skills, but overall I stressed the importance of trusting our instincts as game composers. Our own creative sensibility is our best and most marketable asset. It is the unique quality that separates each composer from all the others and gives that composer a distinctive musical style. No matter the project or the musical genre, we should try to trust our musical instincts and allow them to guide us. KT Wong: What can we expect from you in future? Is there anything you can say about your upcoming projects? Winifred Phillips: I have several projects coming up, but most of them are still secret for now. I’ve composed music for Total War Battles: Kingdom as part of their music composition team. Creative Assembly will be releasing the game later this year. Looking forward to that! KT Wong: Many thanks for your time today, Winifred Phillips. Do you have any messages for your fans around the world? Winifred Phillips: I really appreciate the supportive community that has embraced my music and my book! Also, I really admire Game Music Online, and I’m proud that A Composer’s Guide to Game Music was honored by Game Music Online with an Annual Game Music Award. It means a lot to me, coming from such a wonderful site that supports game music and spreads the word about it. Thanks so much! 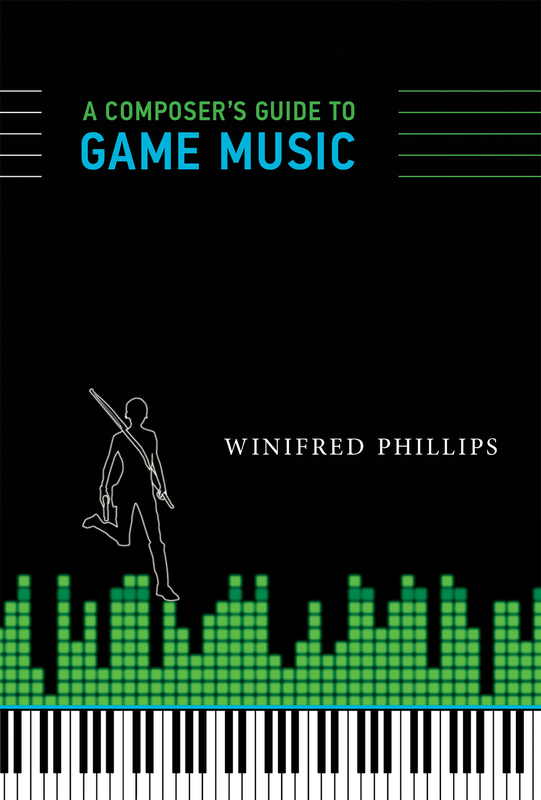 To learn more about Winifred Phillips’ approach to game music, check her book A Composer’s Guide to Game Music on Amazon. Also read her Twitter, Facebook, and Blog. Posted on May 7, 2015 by KT Wong. Last modified on May 7, 2015.